Welcome to the B.I.K.E.R.S. Training web site, home of the First Bike on Scene (FBoS) – Emergency Response Skills (ERS) Course! The course is aimed at providing Motorcycle Safety Training for emergency response skills . Please check our “Course and Booking” page for the next available date. Set up in 2011, B.I.K.E.R.S. 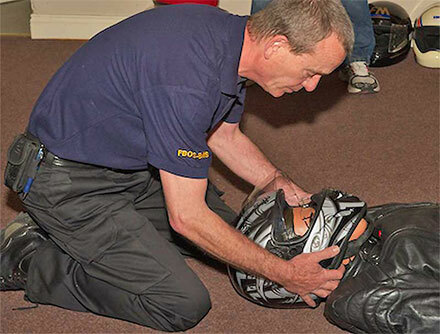 Training aims to contribute to the road safety of motorcyclists by providing them with immediate care skills in the event of coming across a road traffic collision, involving another biker. It is our hope to take away the fear from approaching and dealing with an accident scene, while potentially making a huge difference to the injured person. The courses are run by Rodge Byrne and Nick Coward of B.I.K.E.R.S. 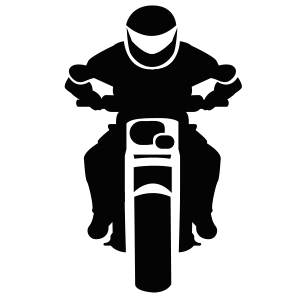 Training, both qualified healthcare professionals and motorcycle enthusiasts, they are acutely aware of the daily risks bikers face on the road. 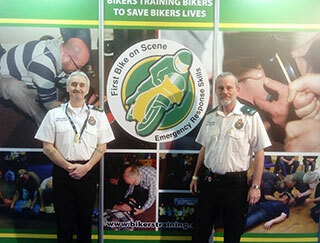 In the last seven years we have trained nearly 1050 riders and motorists across Ireland and the UK. 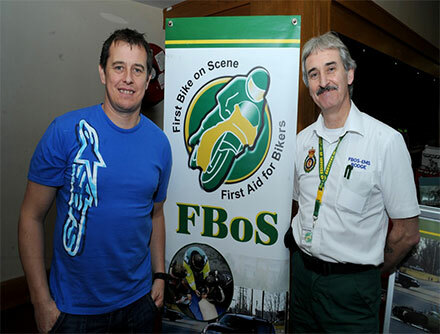 We are a commercial initiative but are delighted to be working in close partnership with the FBoS UK Ltd, the Police Service of Northern Ireland Bikesafe Team and The Irish Motorcyclists’ Association. The First Bike on Scene course was originally developed by paramedics working in the North West Ambulance Service(UK) back in 2003/4. Due to the nature of their work and being bikers themselves, they realised the need for a medical emergency care course appropriate to the needs of injured motorcyclists.So in the unfortunate event of witnessing a motorcycle accident you will benefit from the emergency response skills and knowledge imparted on this course.By learning an appropriate strategy for dealing with an accident scene, it is our hope that it may give you the confidence to make a difference to some ones life.You need no previous training in first-aid to take part . The course is aimed at providing emergency response skills training for Motorcyclists.